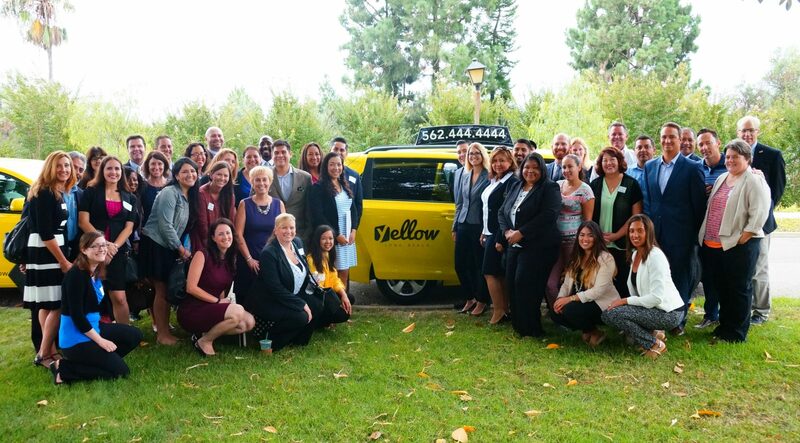 From Houghton Skate Park to the Aquarium of the Pacific, the teams of four LLB Class of 2016 members, their alumni chaperon plus their Yellow Cab driver ventured into locations, businesses and sites in order to gather points to win the race. The eight teams left Rancho Los Alamitos and mapped out their strategy to visit as many places and complete activity challenges to gain points. Also, each team posted to Instagram with the hashtags #llbi2016, #rideyellow and the location of their team/activity/challenge.